This is our annual ride to the Medical Lake Veterans Cemetery for the Memorial Day ceremony. We will be heading south, opposite of last year. The ride heads along Highway 27 to the Palouse highway. From there we will turn left at Baltimore and ride downhill as we approach the Hangman Valley twists and turns. A low speed twisty road will bring us eventually to the busy Hwy 195 (Be careful here). We will then turn right on WA Hwy 195 and make our only stop as we turn onto the Cheney-Spokane Road. 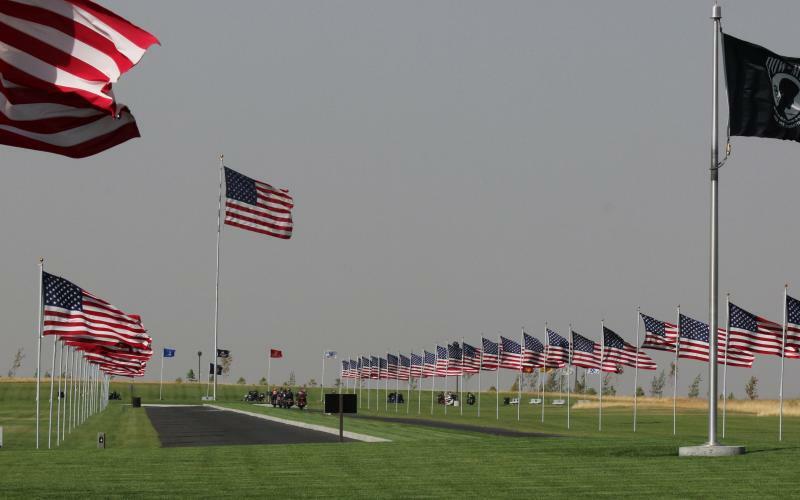 We will head north on the Cheney-Spokane Road toward Cheney and on to Medical Lake for the ceremony where music will begin at 10:30am followed by the ceremony at 11:00am. We will pre-arrange parking since this event can be very well attended. We would like to meet up with everyone at the Iron Skillet at exit 902 after the ceremony for a nice lunch buffet. Please let me know if your planning on attending. I am looking forward to riding with you on this roughly 60-mile, 2-hour ride. Registration will be at 7:30am with KSU at 8:00am from Lone Wolf Harley- Davidson. NOTE!!! Lone Wolf Harley-Davidson will be closed on this day. but you may want to stop at the Conoco Station on Barker to gas up and/or use the facilities. Thanks!